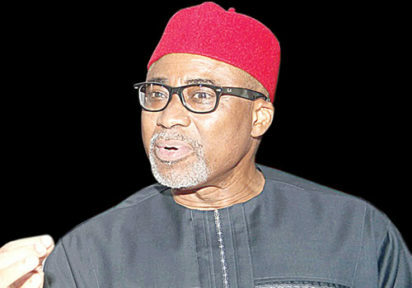 ABUJA- MEN of the Department of State Services, DSS have cordoned off the Apo residence of the Chairman, South East Senate Caucus, Senator Enyinnaya Abaribe, PDP, Abia South. Senator Abaribe was this morning was arrested by men of the Department of State Services, DSS. Vanguard gathered that Abaribe who is the Senate Committee on Power, Steel Development and Metallurgy was picked by DSS at the Transcorp Hilton Hotel, Abuja. Vanguard gathered that the DSS who went to his house with him at 5.44 pm are still there as they have surrounded the premises, apparently to carry out a search of the house.